The Tanzania Commission for Universities (TCU) was established on 1st July 2005, under the Universities Act (Chapter 346 of the Laws of Tanzania) to succeed the former Higher Education Accreditation Council which had been in operation since 1995. It is a body corporate mandated to recognize, approve, register and accredit Universities operating in Tanzania, and local or foreign University level programs being offered by registered higher education institutions. 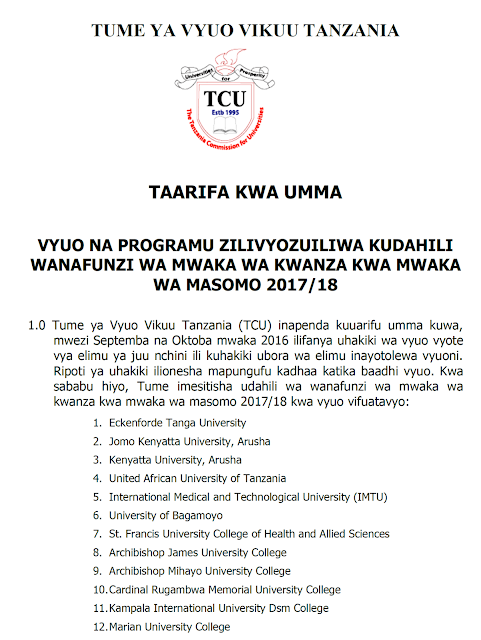 TCU also coordinates the proper functioning of all university institutions in Tanzania so as to foster a harmonized higher education system in the country. 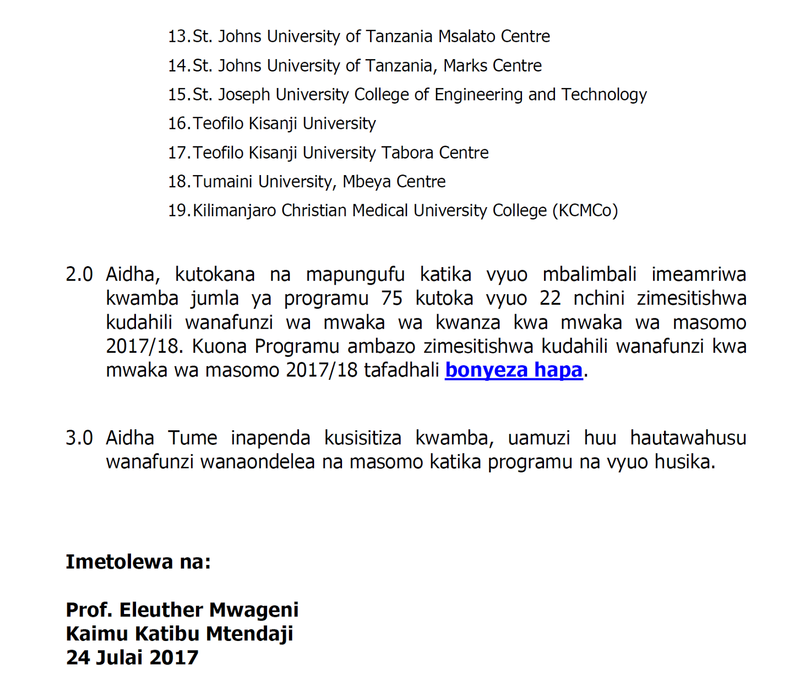 In order to ensure that such a harmonious higher education system does not compromise institutional peculiarities and autonomy, each University has the legal right to operate under its own charter.